Elon Musk deleted a tweet in which he shared an incorrect report that Tesla Inc. (TSLA.O) had outsold all other luxury automakers in the U.S. 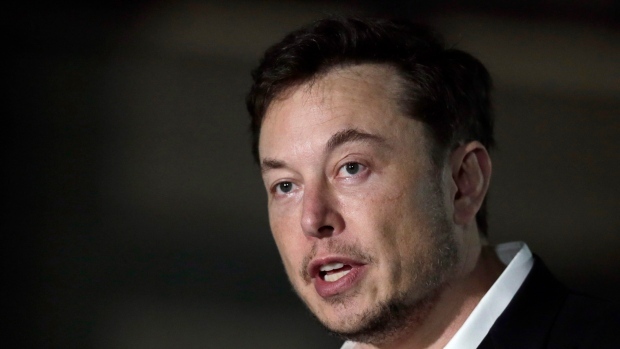 The Tesla chief executive officer shared an article Thursday written by a Forbes contributor that incorrectly said Tesla had become America’s No. 1 premium auto company. Forbes has since amended the story and clarified that the earlier version had compared Tesla’s global deliveries with U.S.-only sales for Daimler AG’s Mercedes-Benz, BMW AG’s namesake brand and Toyota Motor Corp.’s Lexus. Tesla doesn’t report its U.S. sales on a monthly or quarterly basis like all other major automakers in the market, so it’s difficult to tell how much ground the company is actually gaining on Mercedes or BMW on American soil. But at least one of the two German giants has given Musk credit for starting to make an impact. “Tesla is now ramping up their volumes, and it’s putting pressure on that market segment,” Bernhard Kuhnt, chief executive officer of BMW North America, told Bloomberg News in an Oct. 2 interview.